Base Description The "High Top Observatory & Habitat" is built on top of one of the many tall natural plateaus dotting the planet. It has all standard amenities and moderate farming services (lots of frost crystal). Features multiple rooms with various themes that intricately weave around the estate, with nearly all rooms having amazing views. Directions to find below. 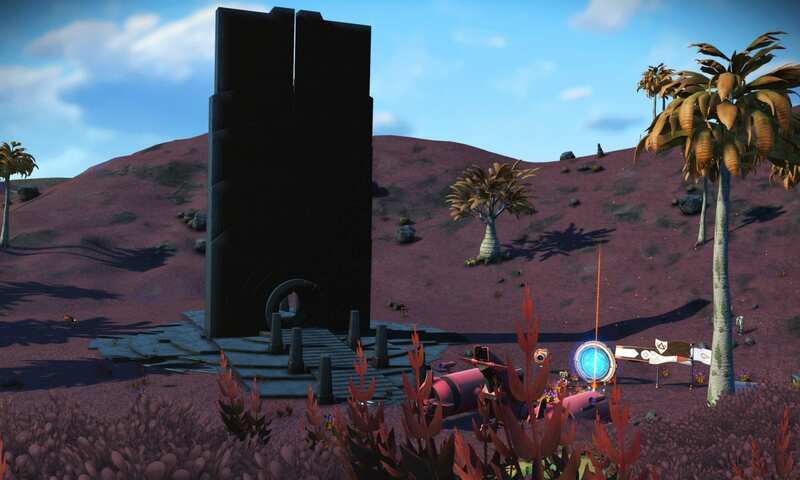 Notes Fortunately, I discovered this portal close to my base and thus left some contextual clues via comms stations right near the portal. 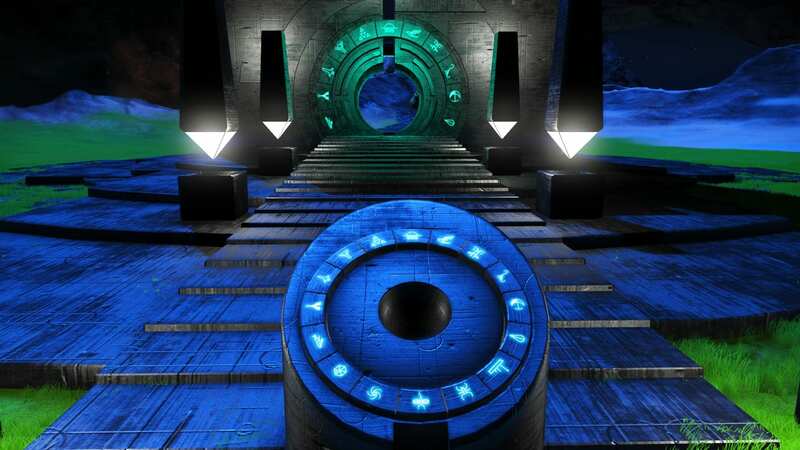 Essentially, if you face the portal and fly left, at about the 10th 'mountain' you should spot my base on top of a plateau. Hope you find it, leave a comms station if you do! 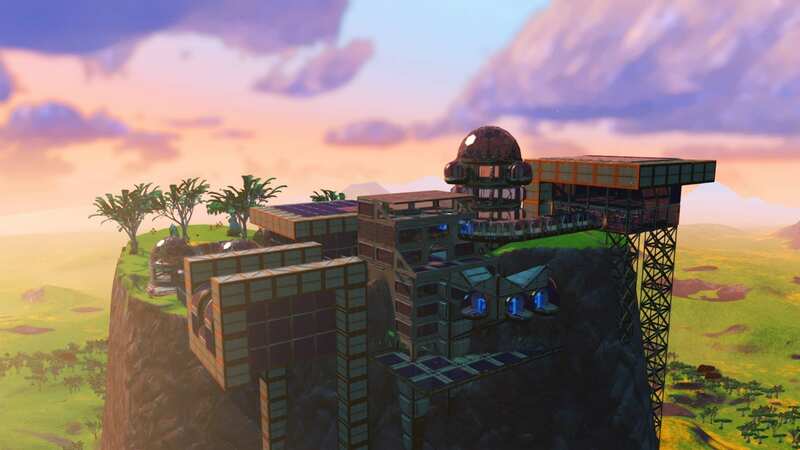 Base Description Built literally right around the portal, The Overlook Portel features room and services for any weary traveler. Requiring veritable tons of glass, the huge structure winds itself around the portal so as to incorporate it into its very design. 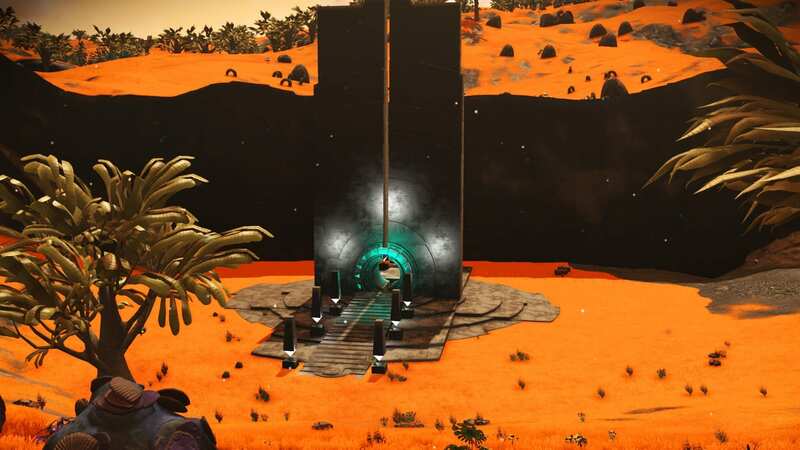 Notes Wanting to connect with other players and finding it impossible to find bases going through portals, I decided that if mine were going to be seen near a portal I would have to make it be impossible to miss. 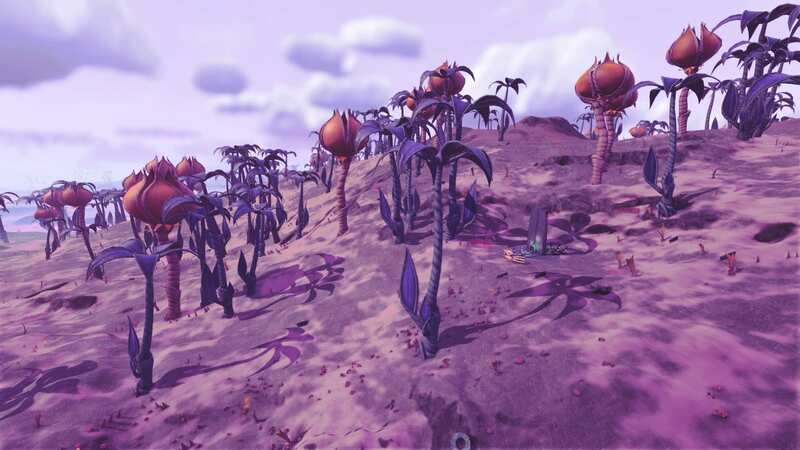 Maybe the galaxy may hide it from you but I hope you get a chance to visit! 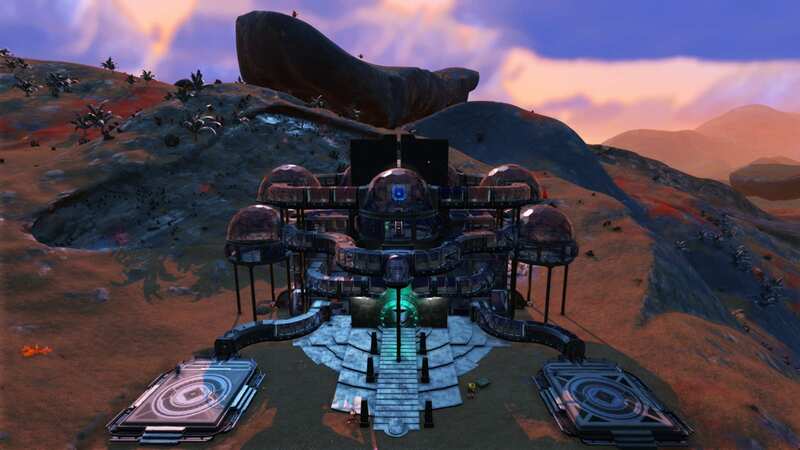 Base Description Cavernous base build, integrated into natural layout (no terrain manipulation). Nice lush green grass, with rolling hills and many beautiful cavern formations. Animals are friendly and interesting. 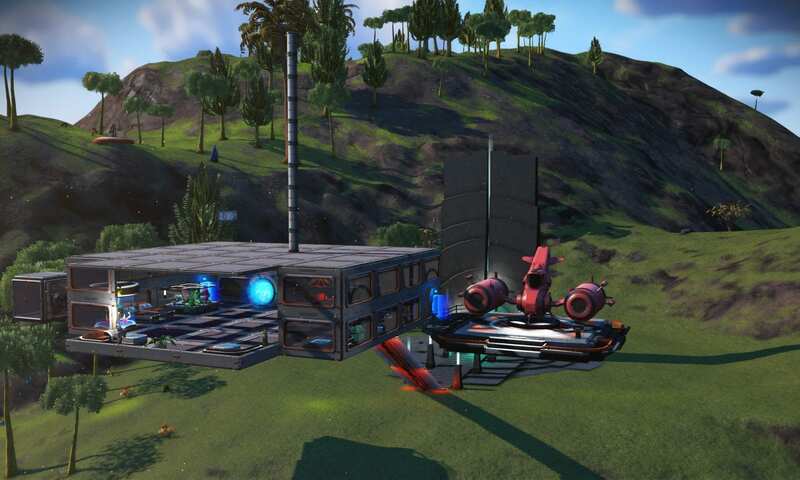 Base has 3 x landing pads, refiner, hydroponics and some interesting "glitch-builds". 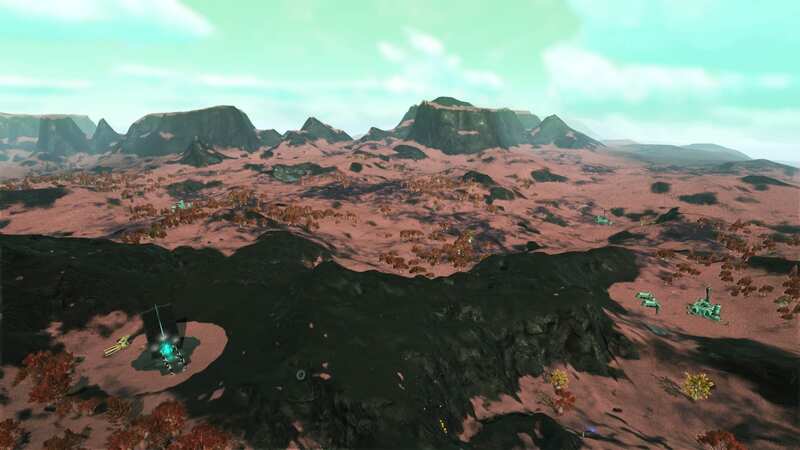 Base Description Basic base here, massive cave systems with trees? 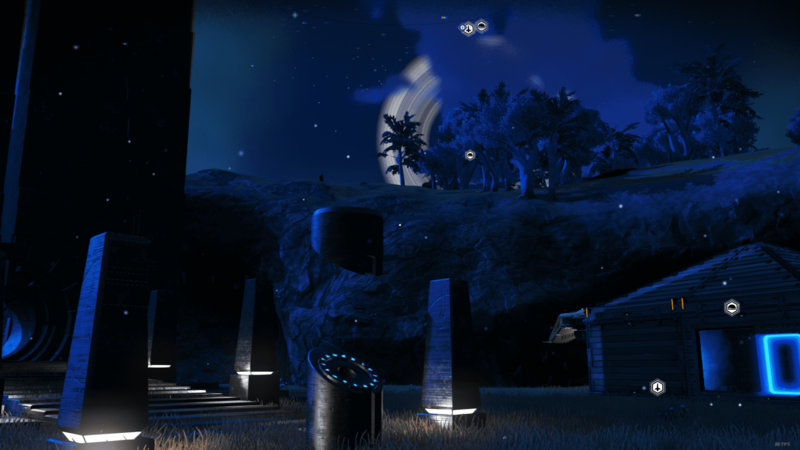 Main base on other planet same system. 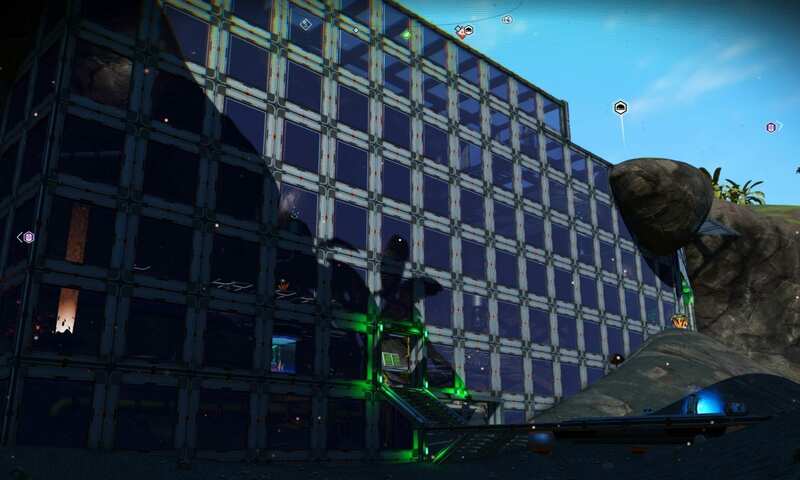 Main Base water. Notes Good trade items at station. Climate Choking Humidity. Storm's every 2 hours or so. 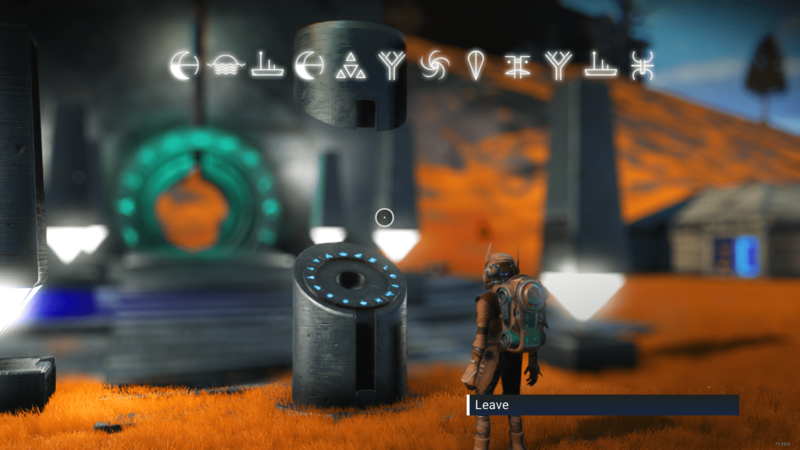 Base Description Not really a base, just a bus stop around portal in a gateway system. Base Description Beautiful weather, green grass, blue sky. No water unfortunately.